4 star, all-inclusive, all suites resort of the beaches of Playa del Carmen, what else could you desire for a perfect summer vacation? A good price maybe, so check out The Royal Haciendas All Suites Resort and Spa that is available from $119 per night now. As you will see if you stay there, The Royal Haciendas All Suites Resort and Spa was designed having the old haciendas of Mexico in mind, but with all modern luxuries. 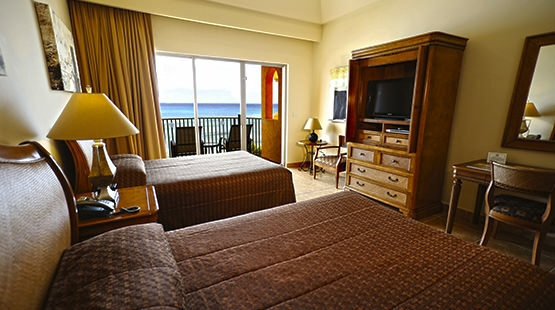 Located in the northern part of Playa del Carmen, the resort is about 30 minutes away from Cancun Airport. The junior and master suites of the Playa del Carmen beach resort are elegantly furnished and decorates with furnished patios or balconies looking over the ocean or the property. Junior Suites at The Royal Haciendas have two double beds, kitchen corner with coffee maker, microwave and mini fridge, flat screen TV, work area, large mirror, telephone, arm chair and more. The all-inclusive plan of this beach resort will provide you with all your meals and snacks during your stay, even in a la carte restaurants, all alcoholic and soft drinks and 24 hour room service. 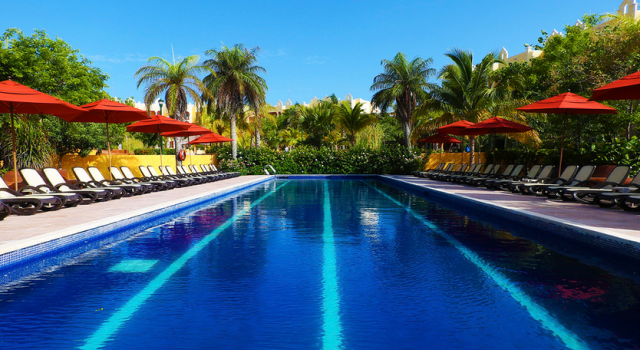 Apart from the outdoor pools and the sandy beach, The Royal Haciendas All Suites Resort and Spa has got tennis courts, a fully equipped fitness center, water sports, like kayak or snorkeling, aerobics, yoga and more activities. The Kids’ Club awaits little guests between 4 and 12 years with lots of activities, games and entertainment. You will also find here an amazing spa with body wraps, massages and other relaxing treatments. There is also a market here where you can buy all you need during your stay at The Royal Haciendas All Suites Resort. Be a wise traveler and so a thorough research before you decide which hotel you choose to stay at. 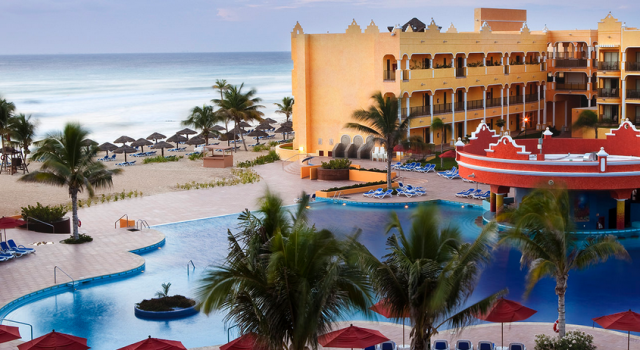 Pick all the merchants you want from the box and compare their prices so you can see many other, similar hotel deals from the Playa del Carmen area or other parts of Mexico.